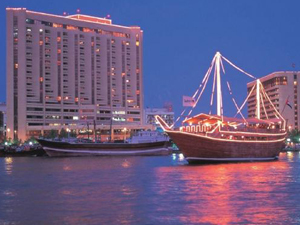 The 17th International Congreso of the GRCA was held on the 19th-21st April 2015 at the Radison Blu, in Dubai. The Congreso brought together GRC manufacturers, materials and equipment suppliers, researchers and acknowledged experts in the field of GRC. Specialist authors came from all over the world to present their Papers on a wide variety of GRC topics, including innovation design and application of GRC, advances in materials and mix designs, and case studies from GRC projects from around the world. Copies of all the papers presented at the 2015 Congreso are available to download by clicking on the Paper title in the list below. Actual applications and potential of textile-reinforced concrete. Adaptive mould - A cost-effective mould system linking design and manufacturing of double-curved GFRC panels. Review of development of GRC in Japan. Hainan International Expo non-linear roofing; application of waterproofing, insulation and GRC system. Development prospects of combination decorative concrete & GRC. 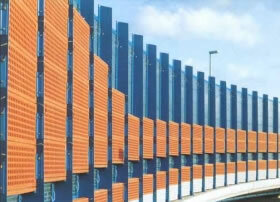 Long term deformation monitoring of GRC façade panels under ambient conditions. Developing a HP (High Performance) GRC Formulation. Performance of polymer modified GRC compared to GRC produced with plasticizer only. Properties of 3D glass fibre fabric reinforced cement-based composite. A brief introduction to 3D printing technology. The use of finely ground pumice pozzolan in GFRC composites. Properties of GRC modified by emulsion. Photocatalytic self-cleaning of fiber reinforced cement materials modified by neutral hydrosol coatings. Heat insulated fabrication GRC panel. Application of GRC permanent formwork. New UHPC for the realization of complex elements. Coloured Surface Protection: an alternative to mass colouring and an opportunity to meet architectural expectations. Self-cleaning and air purifying cement based GRC panels used in Tüpras Rub project. 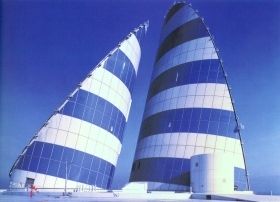 Advancing the architectural application of complex geometry GFRC. Seismic retrofit of columns using basalt mesh reinforced sprayed GRC jacket. Further Investigations into Premix GRC. 3 Merchant Square, Paddington, London: GRC residential façade case study. A date with Shanghai Disney. Application of light-weight GRC cladding panel in Nanjing Youth Olympic Conference Centre.